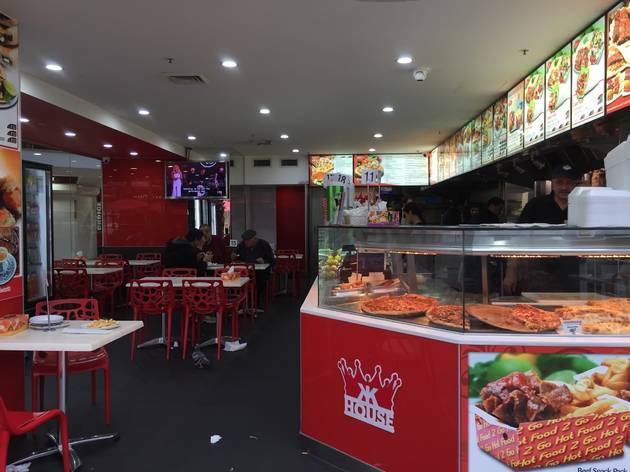 This bustling kebab shop has hot coals out the front (sadly not yet lit late on a Saturday arvo when we visit) and a friendly team of fellas ready to serve you your Turkish feast. There are some tables outside on the pavement and so many cockatoos watching over them it's almost like a scene out of The Birds (if only Hitch had decided to set his film in Campbelltown…). 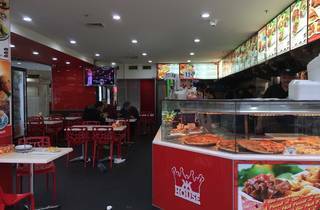 King Kebab House is one of the few kebab joints that has the HSP on its actual menu. Here, you can choose between three sizes, and three types of meat: chicken, beef or lamb (we get mixed of course). 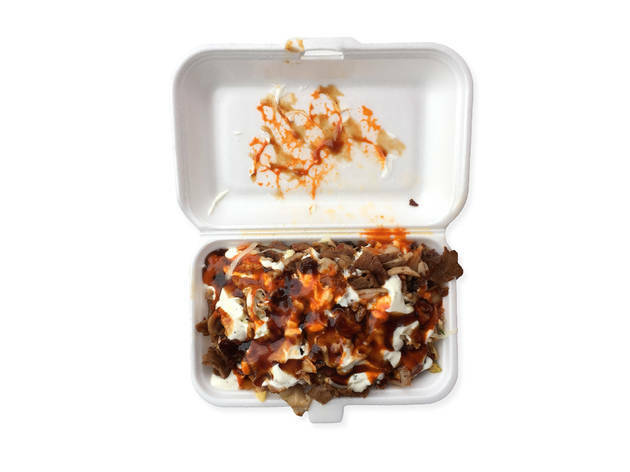 There's a nice mix of textures from the meat, including little caramelised shards, and the garlicy, yogurt sauce has a nice minty quality that separates it from the other options around town. The cheese, placed between chips and meat, has melted nicely to stringy stretchiness, although there could be more of it. The chilli sauce is mild rather than hot so ask for an extra kick if you want to up the chilli factor.